Our Nottingham West Bridgford studio has 12 classes every week, from Hatha to Vinyasa, we have the class to suit your needs. Our timetable makes it easy for you to choose a class based around your busy schedule and means you never miss out on your much needed relaxation time. Check our timetable for availability and times. And, enquire about joining David Lloyd Nottingham West Bridgford, here. These sessions concentrate on bringing balance and harmony to both body and mind, through postures and breath. They can help to boost the immune system, encourage relaxation and correct posture alignment. 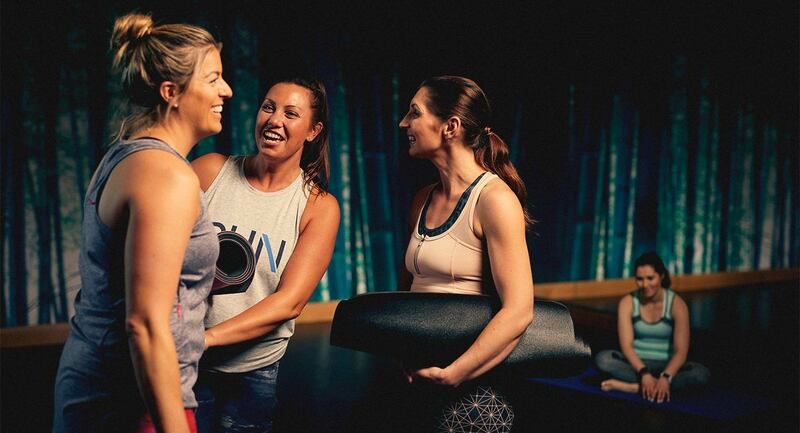 With six classes to choose from, you can fit them around your busy schedule. Broga® is slightly more challenging as it simultaneously incorporates traditional yoga to significantly open up tight areas like shoulders, hips and hamstrings. Expect a high energy upper or lower body session that will strengthen and tone your body in new ways, but also leave you feeling more mobile and flexible than ever before. Choose from six classes a week.